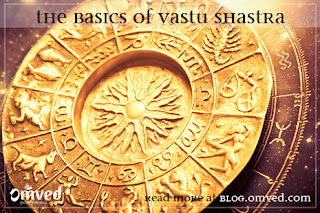 Most of these problems are connected to major Vastu and Feng Shui Defects says Dr Snehal S Deshpande N.D., Advanced Feng Shui and Pyravastu Consultant. Main entrance is the mouth of a house which brings in main energy, so you should avoid a property which has a door facing South West as it is the entry of the devil energy and brings in struggle and misfortunes. If your house already has the one, fix 2 Hanumanji's tiles ( with the Gada in his left hand) outside the door and see the difference. Mandir/altar is the king of all vastu rules - place it in the North East and rest of the things will automatically start falling in place. Face east while praying. Kitchen is the symbol of prosperity - and should be ideally placed in the south east. Kitchen in the north or north east may bring financial and health problems. In this case hang 3 bronze bowls upside down on the ceiling but do not hang over the stove. Master bedroom is the Key to enter the door of stability and it must be in the south west. You should sleep with your head in the south or west. But a bread winner should never sleep in the north east . Bath rooms and toilets have the energy of 'HELL' - which are best in west or south. But should never be in north and north east or they bring financial, health and educational problems. Center is the nose of your house - from where your house breaths. It must be open and clutter free. A wall here gives stomach and financial problems so fix a zero watt blue bulb on this wall and keep it on 24 *7. Cuts in any direction make a house paralyzed - mainly cuts in south west, north, north east and south east give serious problems. There are many mysteries and secrets regarding the cuts and their cures. An evil energy resides in the deep holes in the South West - underground water tank or a well here is the threatening defect. Water placement (only underground) is good in north, north east (not on the axis). Water streams, air cavities which are present 200 meters down the earth create a stress line and weaken the EMF of the earth and give birth to geopathic stress. Sleeping on severe geopathic stress is the main reason of major and recurring illnesses. Divine secret - Last commandment is very important. If you have a very good house as per the vastu rules stated above and the flying Star Chart or the Feng Shui of your place is very bad, the house is not auspicious. It will give miseries to the occupant. And vice versa.